Life is pretty busy, and many couples just forget each other along the way, it’s so easy to get caught up in for example; career, children, housing and just forget and just forget your spouse. So Marriage Week is about reminding a nation to prioritise each other during Marriage Week. You never know your Marriage Week might grow into a year of Marriage Week’s. 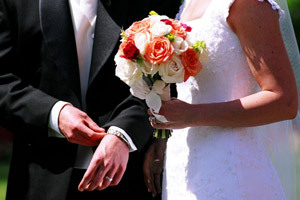 Marriage remains incredibly popular – over 90% of young people aspire to be married at some point in the future, and the large majority will achieve this. Two out of every three first marriages will last until one partner dies, and one in two second or subsequent marriages will also last a lifetime. In the United Kingdom the divorce rate (the number of divorces per 1000 married couples) has remained virtually static since the early 1980’s. Current research suggests that the enduring stability of marriage results from the commitment that two people make to each other, embodied in their vows, and supported by family, friends, and society at large. Many couples today however come to marriage to celebrate the stability of their relationships rather than to initiate them, so we see couples marrying later in life, often after living together for a period prior to marriage.